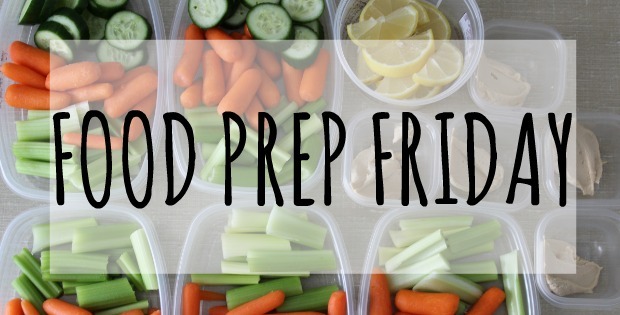 I preach over and over about Food Prep. I swear it saves you time, money and energy throughout the week. Plus, it makes eating healthy so much easier! Obviously, if you’re going to food prep, you need to have some kind of idea about what you’re going to make…i.e. meal planning! I swear they go hand in hand. Now, I get that you don’t know if you’re going to want X for dinner when the day comes, but even a general idea can be a big help and save you hassle later on. One of my favorite tips for saving on groceries, is to use what you have in the pantry already! This saves you tons of money on groceries and keeps you from wasting food down the road that goes bad when you forgot it was there! While I haven’t been living in my place very long, I do have a few items that need to be used up. One of those things is a bunch of RxBars leftover from the 50 States tour (they expire in the coming months!). Generally I only eat bars from time to time or as a snack, but pairing them with some fresh produce has made for a great lunch this week! Therefore my lunch food prep meant chopping up the veggies and splitting them up into 5 containers along with a side of roasted garlic hummus. I also cut up a lemon for my morning lemon water. My dinners this week are going to be a mix of eggs and fish with veggies. I cut and roasted two small heads of broccoli and some tomatoes that were left over from last week’s salads. I wanted to get those cooked up before they went bad. Plus, veggies are always tastier when they’re roasted! There you have it! This week’s food prep. 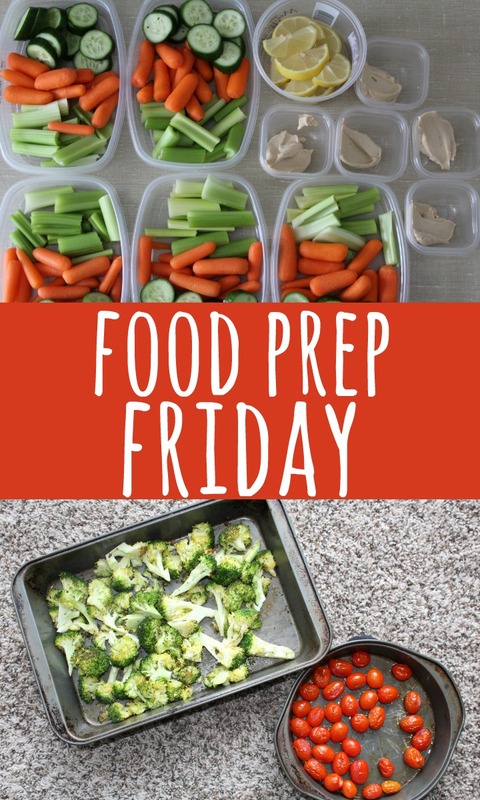 What did you food prep for the week? Food prepping is a life saver! 🙂 I love making up a salad and having it for a couple of lunches during the week. For sure! That’s a must! I food prepped but didn’t make my salads (because I was feeling lazy) and every morning when I have to make it, I’m so frustrated and didn’t. Prepping lunches is HUGE! I’m learning to be big on food prep. I find I eat a lot better if I take the time to prep stuff so it’s just easily to grab and eat when I’m hungry. Recently, my things have been hard boiled eggs and chili. There’s nothing wrong with eating meat! I’ve been vegetarian for 12 years, but I’m all for people eating meat as long as it’s clean and from a good source! I usually roast about 4 or 5 different veggies during the weekend. Makes lunches/dinners during the week so much easier!! Yum, yum, yum! Loved roasted veggies! Roasting veggies is always so yummy – I never do it ahead of time though and I really should! I aspire to become better with my food prep. It so helps out on being organized. i love all those veggies you prepped! I need to start getting into prepping more so I have more time during the day!